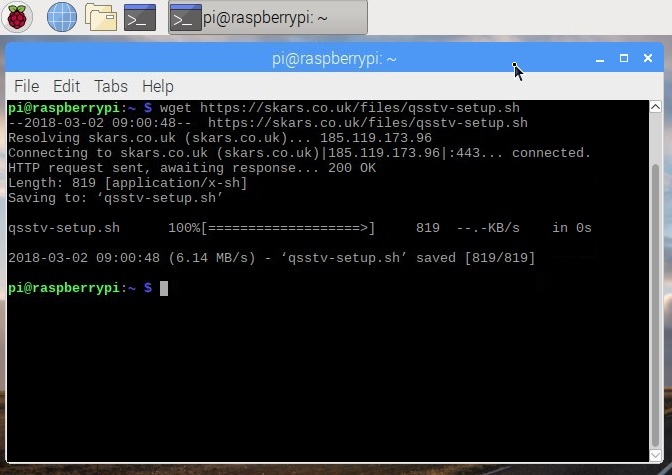 Installation on a Raspberry Pi involves the downloading of the source code and the compilation of the program. 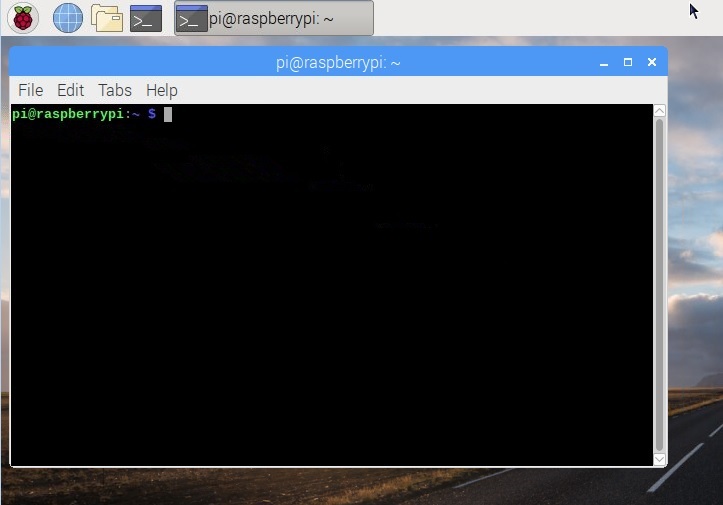 This took me 50 minutes on a Raspberry Pi 3. To make things easier I have taken the instructions and written a simple script file to automatically download and compile the program and create a desktop shortcut. and press enter, it will now download the appropriate software/libraries etc and then compile the program, this will take up to 50 minutes (or more) during which you will see various messages etc in the terminal, finally it will return to the prompt. Hopefully at the end you will see a QSSTV icon on your desktop, assuming you have a USB sound card installed you can open the software. Details on it’s use can be found on the authors website. Please note the software/information available on this website are provided “as is” without warranty of any kind, either expressed or implied and such software is to be used at your own risk. The use of the software links on this website is done at your own discretion and risk and with agreement that you will be solely responsible for any damage to your computer system or loss of data that results from such activities. You are solely responsible for adequate protection and backup of the data and equipment used in connection with any of the software linked to this website, and we will not be liable for any damages that you may suffer connection with downloading, installing, using, modifying or distributing such software. No advice or information, whether oral or written, obtained by you from us or from this website shall create any warranty for the software.